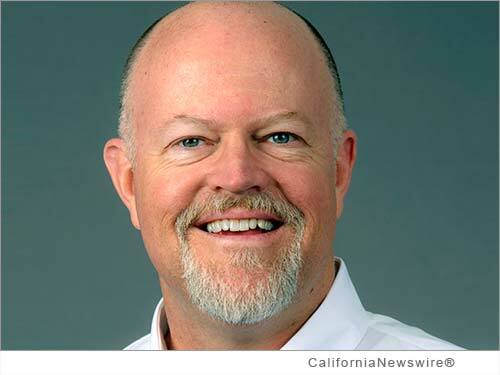 SAN DIEGO, Calif. /California Newswire/ — ReverseVision, Inc. today announced the launch of their Professional Services division aimed at helping reverse mortgage lenders and brokers to be more successful. Mortgage industry veteran and the company's former head of product management, Jeff Birdsell, CMB, will lead the RV Professional Services as Vice President of this new division. ReverseVision Vice President, Rob Katz will be assuming the role of head of product management. The main objective of RV Professional Services is to understand each client's unique business needs and assist them in attaining their business goals. By recommending best practice methodologies through on-site visits and hands-on training, the team will refine a lender's processes and discover where improvements can be realized. A key service component will include a careful review to ensure clients are compliant with Consumer Financial Protection Bureau (CFPB) audit requirements. In addition, RV Professional Services is developing enhanced online training materials including self-administered interactive tutorials. "ReverseVision has launched its Professional Services division under the insightful leadership of Jeff Birdsell because we are in this business to help reverse mortgage lenders succeed," says John Button, ReverseVision President. "As product manager for RV Exchange, Jeff has driven product innovations and helped transform our customer experience. And as a Certified Mortgage Banker, he understands both forward and reverse processes, which will benefit many of our new clients that are traditional lenders getting into HECM products for the first." Birdsell's 22-year career in the mortgage industry has been focused on the Home Equity Conversion Mortgage (HECM) and other reverse mortgage proprietary products. Prior to joining RevereVision two years ago, he consulted with Generation Mortgage, provided consulting services for other reverse mortgage software providers and for over a decade held CIO and product development roles with Financial Freedom. "As reverse lending gains momentum, reverse mortgage lenders need a loan origination platform and business automation solution that helps them be more efficient and profitable," said Jeff Birdsell. "RV Exchange is a powerful tool that can be configured to support most reverse lending business models. By working with the majority of reverse mortgage originators, we know that our clients get the most value from our solution when ReverseVision experts configure our platform to support their unique business processes." "Reverse lending executives typically know exactly how they want to do business, but the challenge is whether their production systems are architected to make them most efficient. Our goal is to set them on the right path for optimum success," said Birdsell. ReverseVision, Inc. is the leading software and technology provider for the reverse mortgage industry offering products and services focused exclusively on reverse mortgages. More reverse mortgages are originated monthly using ReverseVision than all other systems combined. ReverseVision has partnered with some of the finest and fastest growing lending organizations in the U.S. to provide the leading reverse mortgage technology to brokers, correspondents, lenders and investors. ReverseVision is recognized as a driving innovator in the reverse mortgage industry. ReverseVision continues to improve their software with frequent new innovations building on pioneering capabilities in reverse mortgage interactive graphs, scenario analysis, multi-environment performance analysis and workflow in the origination process. For more information, visit: http://reversevision.com/ .